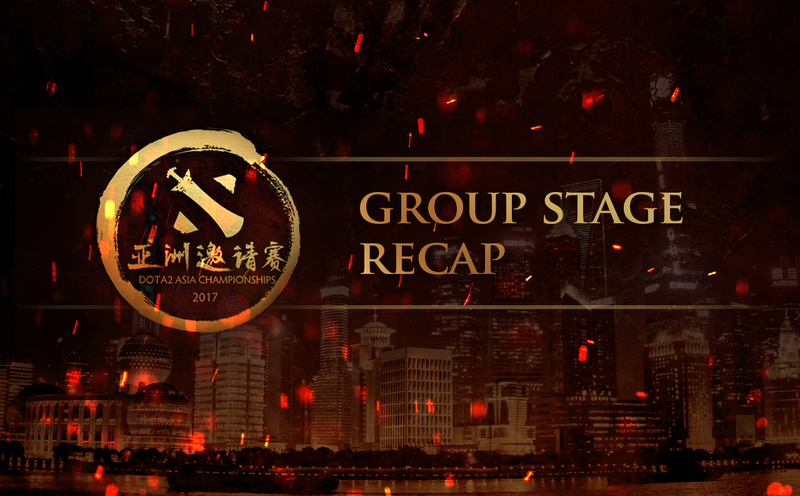 The DAC Group Stages for are over, taking place from March 27 – 29th the group stages were full of shocks and surprises. Let’s take a look back at what happened over the course of an amazing group stage. The majority of people were expecting OG to finish top of Group A, however, not many people expected Team Empire to finish up in second. OG dominated Group A, only dropping 1 game out of the 10 they played. Showing a dominance reminiscent of the Boston Major, OG swept past each opposition with relative ease. OG will be disappointed that they have to wait 2 days until they can kick off their run at the title. Once again OG showed why they are one of the most underrated teams in the scene. Every tournament they are written off and every tournament they show up with consistent controlled play and perform well. The rest of Group A was full of upsets. Team Empire was expected to have a poor showing after missing out on Kiev. Instead, they have guaranteed themselves Top 6 at the pseudo-Major. In a group with TI6 winners, the pride of SEA and the newest Chinese powerhouse, Empire only dropped a series against OG. With a typical CIS play style, they have run over almost every team they have played so far. The concern for Empire will be if they can keep up the strong performances they showed in the Group stages. Team VG.J and Faceless have a lot to consider after group stages. As the only 2 teams to not win a single best of 2 both of these teams will now need to move through the perilous best of ones in the lower bracket. Well, where do we start with Group B. So this was the group of upsets and this was shown in one of the first games of Day 1. Kicking off with IG v Liquid, most fans expected a 2-0 sweep. What they did not expect was the 2-0 sweep by IG. IG came out firing finishing day 1 3-1-0, day so followed suit with IG finishing 3-1 again. Day 3, however, was the most impressive result as the swept EG 2-0. IG showed a dominance and composure that has made them a sudden favorite for taking the whole event. Looking down the field, EG and Liquid will both be disappointed with their performances in groups and will be hoping that it was a case of rust more than a precursor of what is going to happen. EG came out slow on Day 1 finishing 0-1-3, Liquid also finished 0-1-3. Liquid did, however, pick things up and eventually and would not drop another series for the remainder of group stages. EG however, continued to struggle and looked uninspiring considering that they were expected to finish the tournament in the Top 3. Due to poor performances EG and Liquid look set to face off in Losers Bracket Round 2, meaning that one of the two favorites will finish 9th – 12th. OG looked amazing throughout their group games. They will be hoping to carry the impressive displays forward in bracket play and make a run at the title. With a guaranteed Top 6 finish OG will have gained some confidence heading into Kiev at the end of the month. The Chinese teams have had some mixed results in groups. Newbee and IG performed above expectations taking the top 2 spots in Group A. However, VG.J looked weak and behind the meta. The best of ones in the losers bracket could leave some of the big names licking their wounds. Check back with us tomorrow for a look ahead at what to expect in DAC Bracket Play.